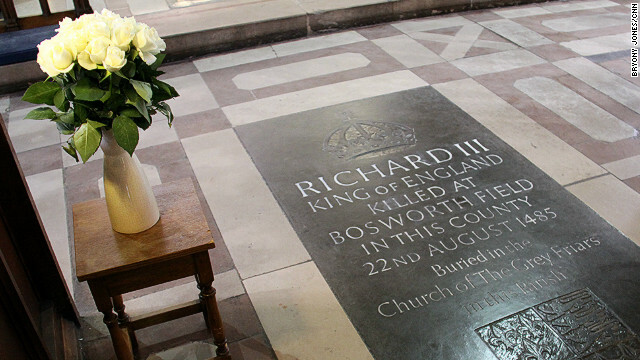 Last week’s revelations about the discovery of Richard III’s skeleton in a car park in Leicester has sparked off a flurry of articles about the real and fictitious monarch. Here are links to just a few of them. First of all, here’s the link to the whole of the news conference that took place on 4th Feburary. For any of you who only saw the Channel 4 Documentary later that day, this is worth watching as there’s a lot more information here, presented by the scientists who have done the research work. This is the University of Leicester’s page leading to further information about the dig and its findings. And lots of extra video clips with additional details from the team are available here. The temporary exhibition in Leicester’s Guild Hall has now opened and will be there until a permanent exhibition is staged: here’s a link to tell you more. The possibility of a state funeral and burial in Westminster Abbey or York Minster have been much discussed, but during the week York Minster graciously gave up its claims in favour of Leicester Cathedral. And there have been calls for the exhumation and investigation into the bones thought to be those of the little princes in the Tower of London, whose disappearance was never explained. Westminster Abbey have now categorically refused to allow it. This great article from the Times Literary Supplement compares the physical descriptions of the historical Richard with Shakespeare’s accounts. 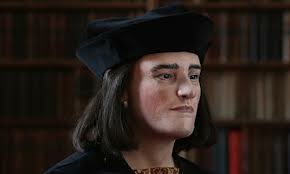 Here’s Stephen Greenblatt’s take on the comparison between the real and fictional Richard III. And Michael Dobson, head of the Shakespeare Institute in Stratford-upon-Avon contributes his thoughts here. Meanwhile this article includes a Richard III gallery as well as clips from the films starring Laurence Olivier and Ian McKellen. Here some of the actors who have attempted the role including Jonathan Slinger and Simon Russell Beale consider what difference the new findings might have on future performances. 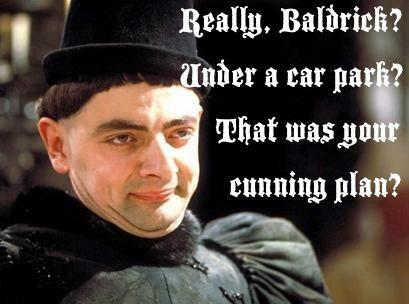 And here, just for fun, is Blackadder’s take on the story. 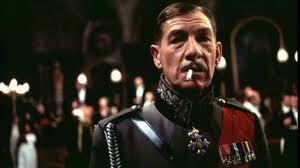 This entry was posted in Legacy, Plays and Poems, Sources and tagged archaeology, burial, excavation, Ian McKellen, Michael Dobson, Richard III, Simon Russell Beale, Stephen Greenblatt, University of Leicester, York Minster. Bookmark the permalink.